A detailed comparison of leading CRMs for SMEs. Any business, large or small, can have difficulty finding the CRM solution that fits the complex and unique needs of its sales team. Whether it's a SaaS solution or utilizing an internal server, implementing a CRM software requires a great deal of consideration as well as weighing many crucial and often interdependent factors. The model of a modern business requires a powerful, dynamic, and cost-effective solution in order to keep a competitive edge against the competition. The right CRM choice will provide longevity in the effectiveness of its impact on daily operations, boosting the productivity of the sales team in a scalable way. In order to create a comparative analysis encompassing all the features that make optimizing efficiency and top-notch usability possible, we have created a feature comparison covering the many unique functionalities the top CRM competitors currently offer. 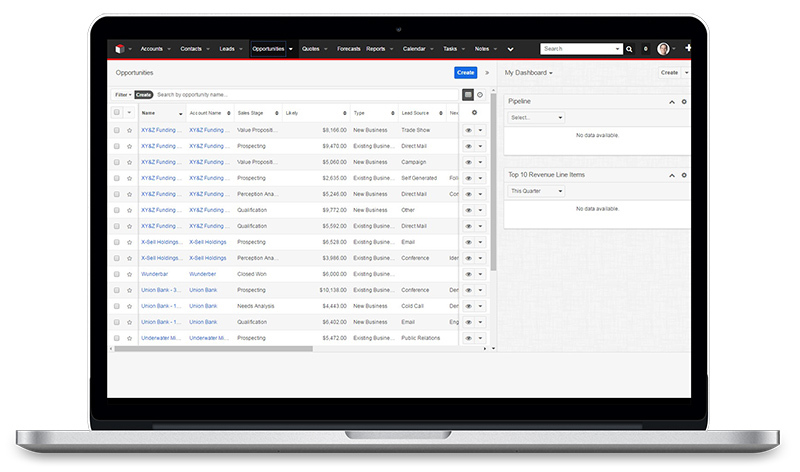 SugarCRM is a web-based CRM application available in open source or in a commercial version. Its modern interface helps both employees and customers to better engage and also includes a mobile application. Originally released as open source, SugarCRM no longer updates their community version since the release of version 7, but you can still find open source forks like vTiger. 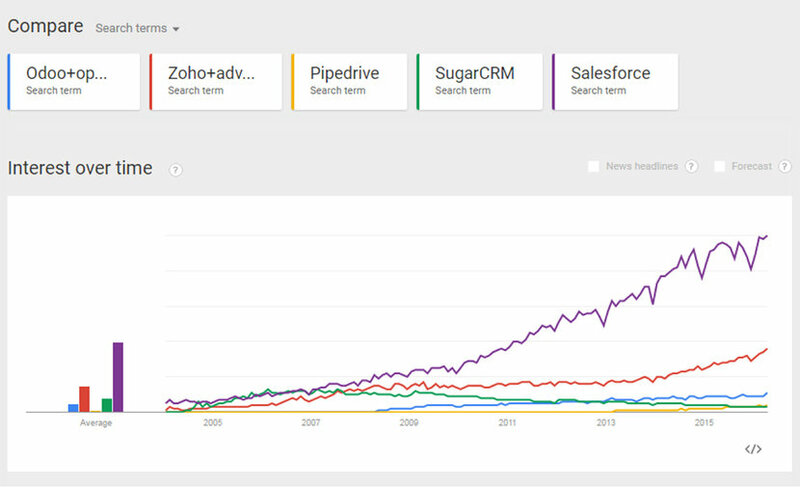 SugarCRM is divided into four editions: Community, Professional, Enterprise, and Ultimate. This solution is available online or on-premise, with the possibility of customization for both versions. 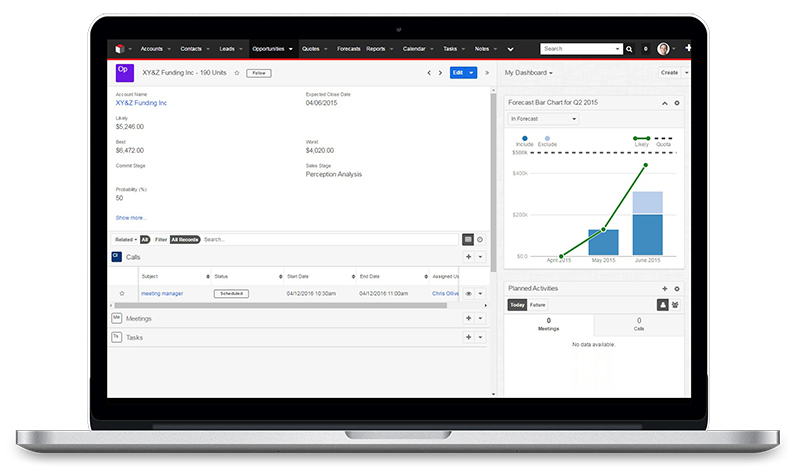 For this comparison, we chose to include the Enterprise edition of SugarCRM. 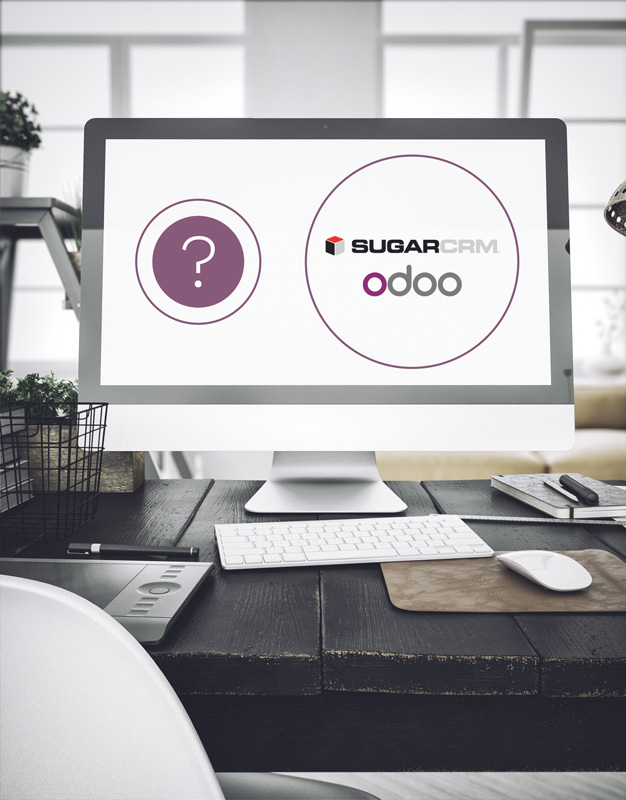 Odoo is an open source software that is available in three versions, two of which are local while the other is hosted in the cloud. 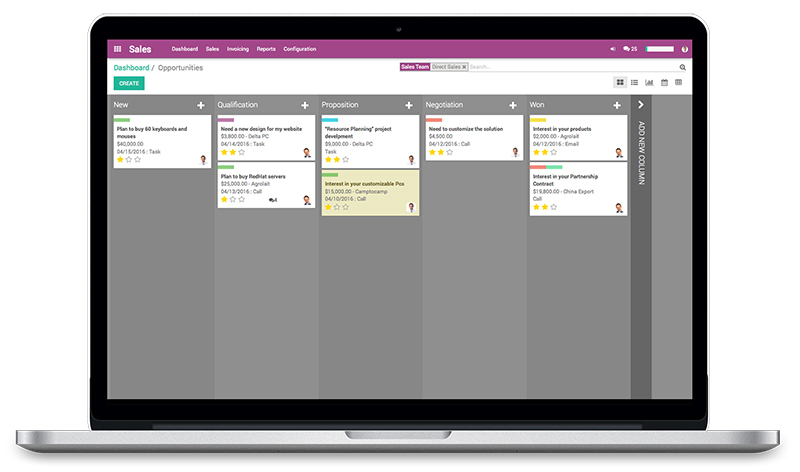 More than 7,300 apps are available thanks to the multiple developments made by Odoo S.A. and its community. The cloud-based Online Edition of Odoo ERP offers a customized solution specifically designed to solve SME needs. In this highly modular solution, each business function is carried out by a dedicated app. This allows growing businesses to start with a few apps and to adopt more as their needs change and evolve. 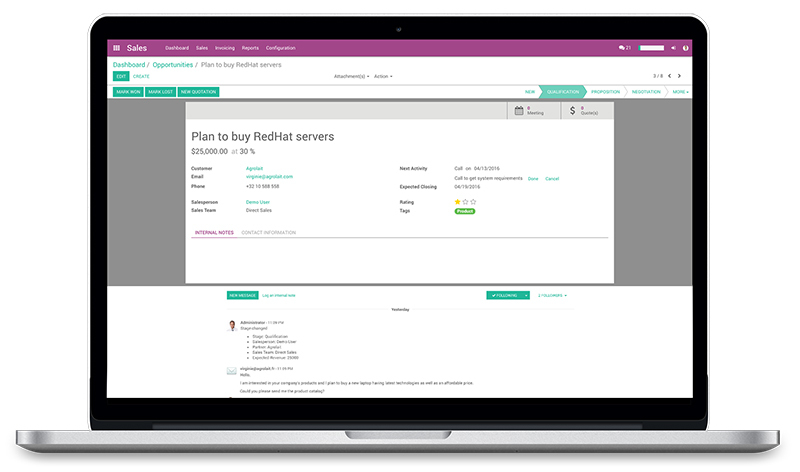 For this comparison we’ve selected the cloud-hosted version, Odoo Online. The unique part of this offer is that it’s completely customizable. There are more than 30 certified apps that cover the vast majority of business cases, all of which connect to the same database on Odoo’s servers. When it comes to efficiency and end-user satisfaction, fine-tuned usability is one of the most important factors in any software platform. In order to provide a strong value proposition, a CRM solution must take into account the needs and goals of its users in order to actively help them achieve their objectives. The user interface supports the overall product design in deciphering human factors such as preferences, habits, and learned skills in order to effectively serve the intended purpose of the software as it relates to the businesses that utilize it. A strongly functional design is critical in providing a positive user experience. Usability is qualitatively measured as a software’s ability to anticipate what a user might need to do. This includes ensuring that all of the elements in the interface are easy to access, understand, and use. Well designed software will provide usability that helps the users feel comfortable with the system and obtaining their unique desired results. It will help users perform actions quickly and become more efficient in their day to day tasks. Best practices also suggest having a simple interface with consistency (common elements) and a page layout based on hierarchical importance and flow. The next section includes screenshots to help you compare the user interface, both in the list and form view, for each software in the comparison. The following graph was created with the Explore tool on Google Trends. The color curves show the number of Google searches for the associated keywords 1. This metric shows the relative consumer interest in each software platform. Choosing and implementing a CRM solution is an important decision as well as a significant investment. It should be carefully considered with regards to your unique business needs and operations. If you are in the process of choosing a CRM solution, here are some points to consider before making your decision. First, be sure to define your objectives. Examples of such objectives could be to get more leads, improve conversion rates, manage your sales teams, upsell to existing customers, etc. Secondly, what type of technology or support does your company prefer to work with? Do you prefer to maintain your software yourself via an on-premise server or utilize a cloud-hosted solution maintained by the software vendor? Additionally, what is your budget and internal competencies? On-premise solutions are preferred by large companies because they provide increased control of the platform and can assist in overcoming security concerns. Alternatively, online solutions are advisable for SME’s as the customization and costs (hosting, maintenance, implementation service, etc.) are usually minimal or even included in the base rate. Once you have weighed the costs and benefits associated with these factors, your business can better analyze the potential solutions available on the market. When comparing the features of each solution, remember to consider the functional needs of the employees using the system in their daily operational tasks. Also, consider the business needs of decision makers in the organization; an optimal solution will support the efforts of all users. Be sure to pay close attention to the usability of the system you choose. Simplicity contributes to a faster adoption of the software for users, and ultimately allows the salespeople in your organization to be more productive. In terms of usability, Pipedrive and Odoo allow for more advanced features to be learned and adopted quickly compared to the rest of the solutions on the market. Most CRM solutions offer a free trial, so it’s easy for businesses to test independently in just a few minutes. As many CRM experts have mentioned, the future is mobile with integrated solutions supporting multi-channel sales and efficient communication. A mobile tool allows your employees to react quickly to customer requests while an integrated tool can seriously save time, empower users to operate more efficiently, and help maintain a clean, unified database. Lastly, don’t forget to look at the big picture. If a company’s long-term goal is to grow its sales volume, the best approach to choosing a CRM solution is to start with a solution that can follow that growth over time. To accomplish this, a flexible solution with robust features that can offer tools which work in tandem with the CRM to manage the business would be the ideal choice for a scaleable and cost-effective solution.